Professional society awards provide a positive message to the public. Technical staff and companies in the chemical industry don't receive enough recognition — positive recognition, that is. Misdeeds and mishaps get far more attention than accomplishments. Consider some recent news reports: Two ex-Dow researchers were sentenced to jail for separately misappropriating proprietary information ("Rapacious Researchers Steal Secrets"). In addition, a former Dupont scientist has pleaded guilty to providing confidential titanium-dioxide-process details to a Chinese firm. Meanwhile, serious accidents at chemical plants continue to draw coverage — as indeed they should. In February, an explosion at Keeper Chemical's pesticide plant in Hebei province, China, killed 16 people and injured more than 40. In mid-March, a blast and fire occurred at Westlake Chemical's vinyl chloride monomer plant in Geismar, La. — fortunately, no one was hurt. A few days later, an explosion at the Lianyungang Taiyi Fine Chemical Factory in Jiangsu Province, China, injured two people. No wonder much of the public views the chemical industry negatively — fully half of the respondents to our latest salary and job satisfaction survey say the poor public image of the industry bothers them. Part of the problem is that a lot of the good things we do don't generate positive press — often because they're too technical or arcane for the general media to appreciate. Most journalists are ill equipped to pick out truly momentous developments from routine progress hyped by a company. Awards by professional groups can play a significant role by signaling that peers in the field consider a development important or a person's contribution noteworthy. So, we should welcome some recent news. • The Safety Award will honor an organization for "exemplary performance in developing technology to identify, assess, manage and control risks or that has collaborated most effectively with government, industry or society to build a common understanding of risk." • The Chemical Engineering Project of the Year Award will recognize a project completed after July 2010 "contributing to improved management of industrial assets… The project should demonstrate innovation, successful delivery and a technical, commercial, safety/environmental or other benefit. The project may relate to construction of new industrial plant or to the enhancement of existing facilities." • The Young Chemical Engineer of the Year Award will salute a person born in 1982 or later who has applied "chemical, biochemical and/or process engineering skills to address important economic, environmental or social issues." "As chemical engineers, we tend to be humble about our achievements, but often we are the unsung heroes of advances that range from workplace safety improvement to changing the way people live. The IChemE North America Awards will help us recognize our outstanding colleagues across Canada, the U.S. and Mexico," says Desmond King, president of Chevron Technology Ventures and past president of IChemE. Organizations and individuals based in North America are eligible. Nominating forms are available at www.icheme.org/awardsna. Deadline for entries is July 6th. Presentation of the awards will take place October 15th in Vancouver, B.C., at the 62nd Canadian Chemical Engineering Conference (www.csche2012.ca/). In late March, the American Chemical Society, Washington, D.C., bestowed its fourth annual Award for Affordable Green Chemistry on William J. Kruper of the Dow Chemical Co. He received the 2012 honor for developing a process to convert glycerin to epichlorohydrin, an intermediate in the production of epoxy resins. As biodiesel production has increased, so, too, has output of byproduct glycerin, creating an incentive for finding new ways to use the material. Kruper, a corporate fellow at Dow, saw the potential for making epichlorohydrin from gylcerin rather than propylene, the conventional feedstock. The process involves two steps: reacting glycerin with hydrogen chloride gas at elevated temperature and pressure using a carboxylic acid catalyst, and then converting the resulting mixture of dichlorohydrins to epichlorohydrin with a base. "It turned out to be about the best process on the planet for making epichlorohydrin," notes Kruper. The solventless method produces less wastewater than the propylene-based route, allowing smaller vessels and reducing capital cost, says Dow. The company has operated a pilot plant in Germany (see: "Renewable Feedstocks are in the Bag") and reportedly plans to commercialize the technology at its Shanghai site. Let's hope these awards get the visibility they deserve. Be sure to check out his Google+ page. U.K. chemical engineering society announces first recipient of Andrew Medal. Chemical firms show growing interest in bio-based production. 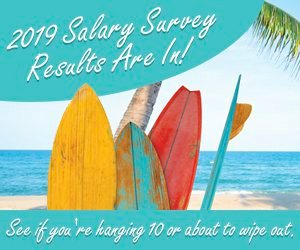 Annual salary survey indicates respondents are content with current pace.